Columbus, OH (Apr. 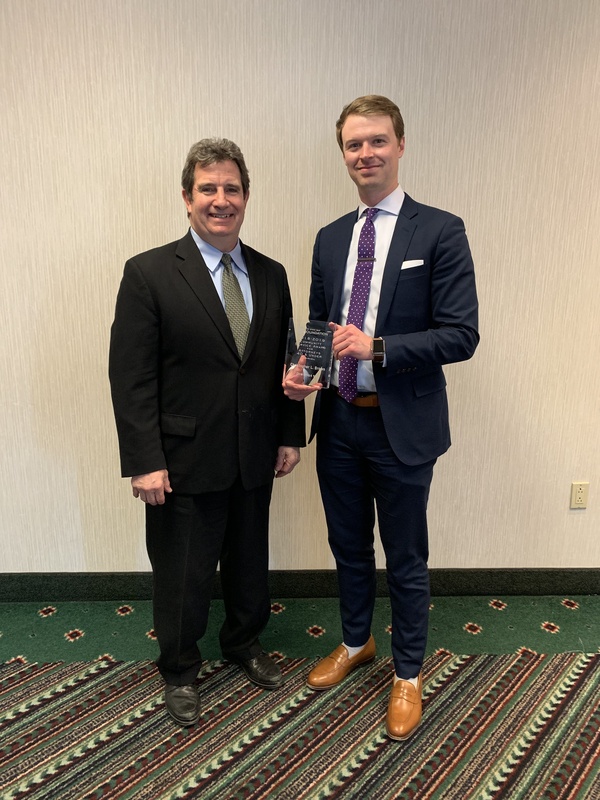 3, 2019) – On Wednesday, April 3, the Ohio State Bar Foundation (OSBF) awarded its District 10 Community Service Award for Attorneys 40 & Under to Christopher L. Brown. Brown currently serves as Deputy Law Director for the City of Mansfield where he works on a wide variety of matters, from police policy and employment issues to tax issues and inter-governmental relations. Brown is also very active with the Ohio State Bar Association. He serves as Chair of the organization’s Young Lawyers Section, which, by its own initiative, created a pro bono service opportunity for new lawyers to help members of the public navigate the increasingly difficult world of driver’s license reinstatement. About the Award: The Community Service Award for Attorneys 40 and Under is presented to attorneys, 40 years of age or younger, who contribute substantial time, talent, and effort serving their community. The service must be outside the recipients’ practice of law and given without compensation. The recipients represent the ideals of the legal profession and, by example, are a credit to the profession. Award nominations for Fall 2019 and Spring 2020 will be accepted through June 1, 2019. For more information and to nominate, visit OSBF.org. About the Ohio State Bar Foundation: The Ohio State Bar Foundation’s mission is to advance the public’s understanding of the law and build a better justice system. Through our grants and programs, we educate and perform outreach to the public to make the law fair for all Ohioans. For more information about the Ohio State Bar Foundation, please visit OSBF.org.